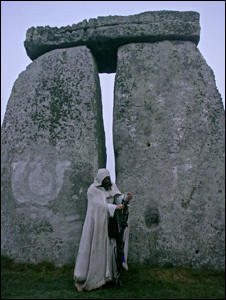 One of the most puzzling mysteries is how Stonehenge, the prehistoric circle of stones in England, came to be. We know it was built around 4500 years ago, and the stones came from Wales, some 250km away… but how? Of course, back then, it wasn’t so easy to transport stuff around the country – especially not 60 bluestones which are said to weigh between two and four tons each. Several theories have been bandied about over the years of how the stones were transported, including sledges; rafts along the rivers; and that Merlin himself used his magic to gather the stones there. 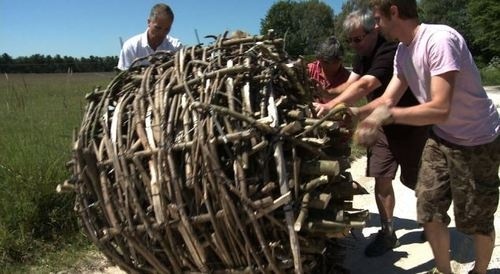 This week, an engineer and former BBC TV presenter, Garry Lavin, tested his theory that wicker baskets made from willows were used to roll the stones all 250kms from the quarry in Preseli Hills, Wales, to Salisbury, in Wiltshire, England. He built one himself, using willow and alder saplings, and enlisted several friends to help roll a one-ton boulder along the ground. He thinks oxen might’ve helped roll the baskets in some parts, and that rivers could have floated them downstream. 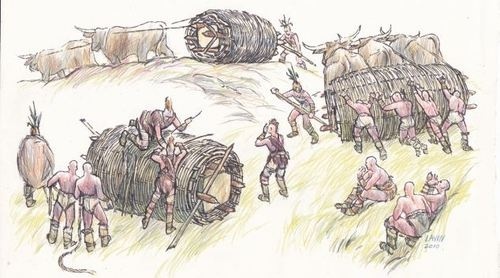 But it’s the baskets which Lavin is sure had a huge part in the formation of Stonehenge – and as he’s currently building a maxi-basket to move a five ton stone, we may soon find out the answer. Unless aliens decide to show up and show us otherwise, of course.